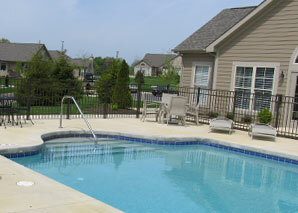 Our beautiful community is one of the best places to live on the south side of Indianapolis. 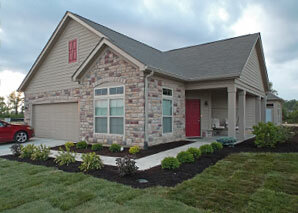 Stone Bridge has 68 built and occupied condominium units as well as several lots available for construction. Located on Stop 11 Road between Emerson and Arlington Avenues, our residents enjoy the use of our clubhouse, pool, exercise facility, and the social activities of our community. We are surrounded by urban amenities, golf courses, shopping and near by hospital, yet situated in a quiet and peaceful neighborhood with a great quality of life. If you are looking for a great community with comfortable maintenance free living, please visit us!